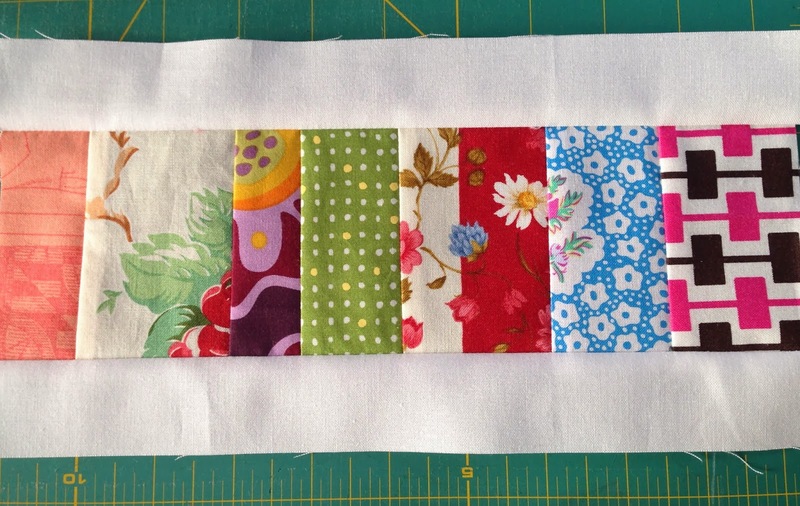 Patchwork n Play: A Rainbow Sandwich! A picnic in the making? Can you guess what this will become? Well, when life gives you scraps, make sandwiches! ooooooo...scrappy goodness!! Anything you make with this wonderfulness, will be so much fun. Loveeeeee your scraps! I cannot wait to see what they become! 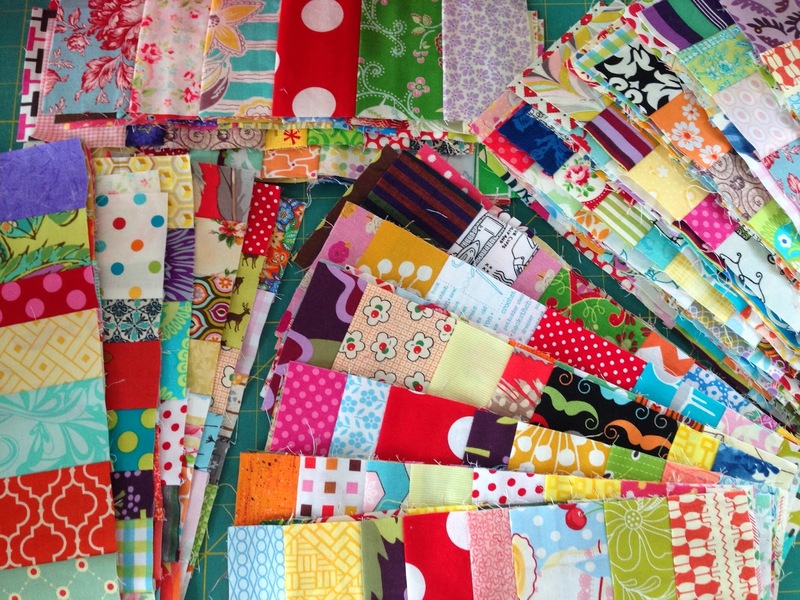 I love the colourful scraps you're using in your sandwiches!! They definitely look tasty! So much colour! Love it! it is going to be fun - that's for sure! Whatever it is, it looks delicious! It's a sandwich that looks positively edible! Whatever it turns out to be, it can't fail with such gorgeous 'scraps'! xCathy (p.s. Giveaway at mine if you're interested). Oh boy is that looking pretty! These scraps are singing! Lovely happy scraps! Those stacks look wonderful! So much happy scrappy goodness in those photos. What a beautiful celebration of scraps. Whatever it becomes is going to be wonderful. They look like fairy bread! A coin quilt? And why do they call it a coin quilt? I don't think it looks anything like coins. Puzzled! Very cute sandwiches so bright and cheery. Scrappy trip along? Not sure what you are making but it will be amazing! Beautiful! Coloured scraps of happiness, I like those sandwiches! Oh, Suz, these are SO beautiful!!! 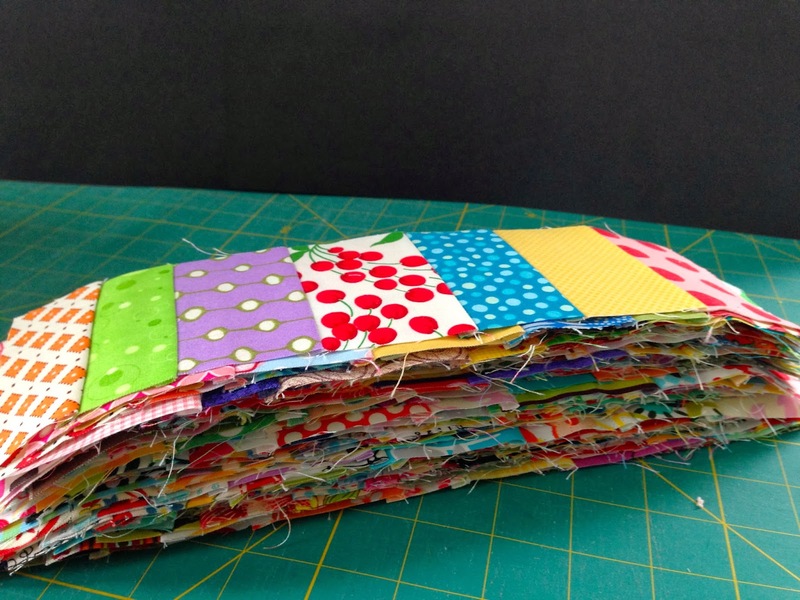 Lately I've enjoyed seeing stacks of blocks that quilters have made and have layered up. It invites possibilities, but I'll wait and see what comes of these lovely blocks. 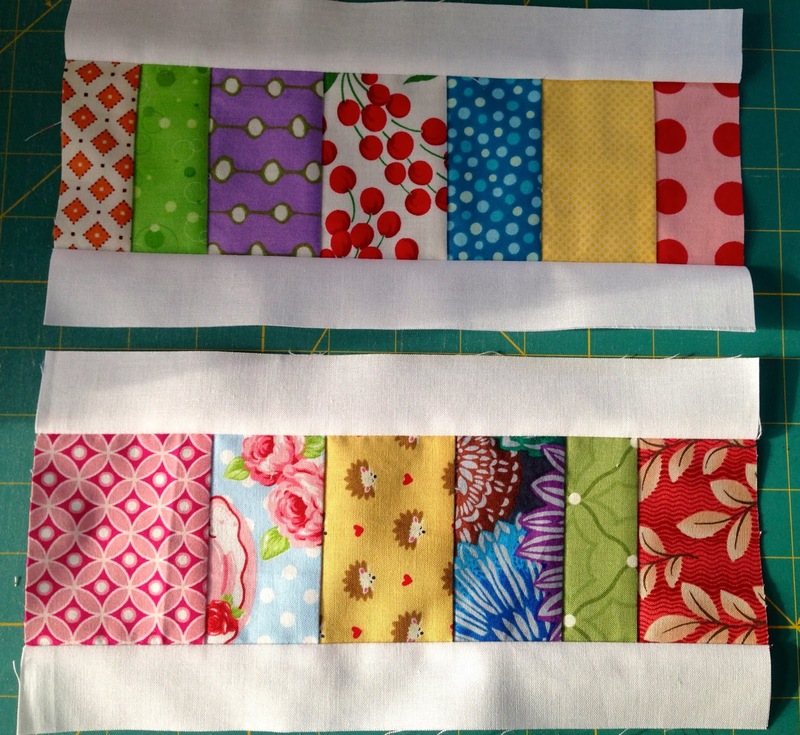 How long are the scraps (unfinished, cut) - I realize they are different widths but are all the same length. And what is the cut width of the white strips? Adele, I would probably be more inclined to answer your request if you asked politely with a 'please' or 'thank you'.